How Does the MasterCard World Elite Program Work? 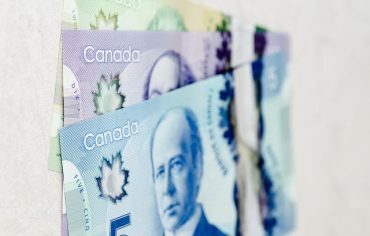 This post has been updated to include changes to the BMO Rewards program effective Jan. 15, 2018. 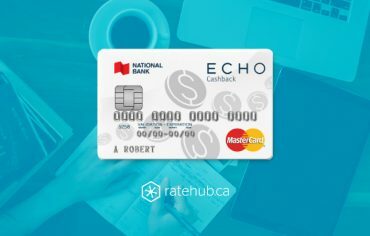 Here at Ratehub.ca, we can show you the exact dollar value of the rewards you’ll earn with your credit cards, depending on which cards you choose and how much you spend on them. We can do this because we’ve quantified the value of different points programs, and distilled them into one easy to use credit card rewards calculator. 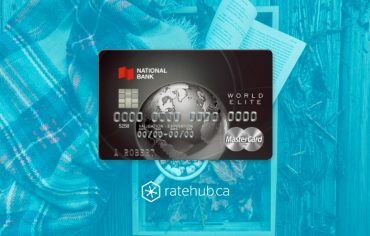 But is the dollar value of the rewards you can earn the only consideration when it comes to choosing a credit card? Most rewards programs offer additional perks, like discounts on car rentals, free hotel upgrades, concierge services and specific airline benefits. These programs are valuable but are harder to quantify in our calculator; that’s why we’re going to take a deeper look at the benefits that come with each credit card rewards program. Today, let’s look at what you get access to with the MasterCard World Elite program. 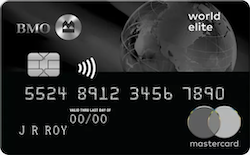 What is the MasterCard World Elite Program? Similar to the Visa Infinite program, World Elite is a rewards program with benefits and exclusive offers to things only made available to people who have various MasterCard credit cards. With one of these cards in your wallet, you can take advantage of exceptional offers from upscale retailers and world-class hotels and resorts; escape from the daily routine and relax at a spa; or purchase great seats for thousands of concert, theatre, and sporting events – even sold out shows. The first thing you can start enjoying right away with your MasterCard World Elite credit card is the concierge service. Use the concierge service to secure event tickets, dinner reservations, hard-to-find gifts or even to coordinate business tasks like event bookings. You concierge service is like having a personal assistant available to help you with any task, big or small – in your own city and while you’re travelling. The MasterCard World Elite program offers a variety of benefits if you shop with one of the credit cards we mentioned above. For example, using a MasterCard World Elite program credit card when you shop doubles the original warranty on items up to one year. You also benefit from price protection for 60 days and coverage for items that are stolen or damaged within 90 days of purchase. If someone uses your MasterCard World Elite program credit card without your permission, you can rest easy knowing that MasterCard has a zero liability policy, which means you’ll only need to pay for what you buy. Zero liability insurance lets you rest easy if your credit card is stolen, but certain conditions and exceptions apply to this policy, so make sure you read the fine print. If you like to travel, you’ll love the travel perks offered by the MasterCard World Elite program. First, you can use your Priority Pass to gain access to over 600 airport lounges in over 100 countries. Then, if something goes wrong on your trip, you’ve got a host of protective services to get your travel plans back on track in no time. For example, if you lose your credit card or it gets stolen, MasterCard Global Service will give you emergency assistance 24 hours a day, in any country and any language. The MasterCard World Elite program also comes with a host of MasterCard travel insurance options as long as you book your travel with your card, including travel medical insurance, baggage delay, lost or damaged luggage, trip cancellation, hotel burglary, car insurance coverage and more. Perhaps the most unique aspect of the World Elite program is it’s “Priceless” experience, which is offered in a number of the biggest cities in the world. The Priceless experience is designed to take your vacation from “great” to “extraordinary”. As a MasterCard World Elite program cardholder, you’ll get access to unforgettable experiences in eligible cities, including Toronto. A 5-course prix fixe menu and a glass of wine at Lamesa Filipino Kitchen in downtown Toronto. A complimentary upgrade to a 1-bedroom corner suite at the Ritz-Carlton. A 10% discount at the upscale Men’s Boutique in the Distillery District where shopping is strictly invitation only. Note: Not all of the benefits above apply to every card, so you should make sure to check with your issuer before trying to claim one of these perks.